WIFO's "Thematic Platforms" bundle the research of the scientific staff from different perspectives on common economically and socially relevant issues. In their function as information hubs, they offer direct access to the relevant WIFO publications and contact to the respective experts. The advancing digital transformation of the economy and society will bring about significant economic, ecological and social transformations at the level of individuals, regions and companies. It entails both opportunities and risks. As business and population surveys show, there is a need to catch up in Austria concerning the digital skills of both the population and the companies. However, these skills are necessary to exploit the positive effects of digitisation and to minimise its risks. 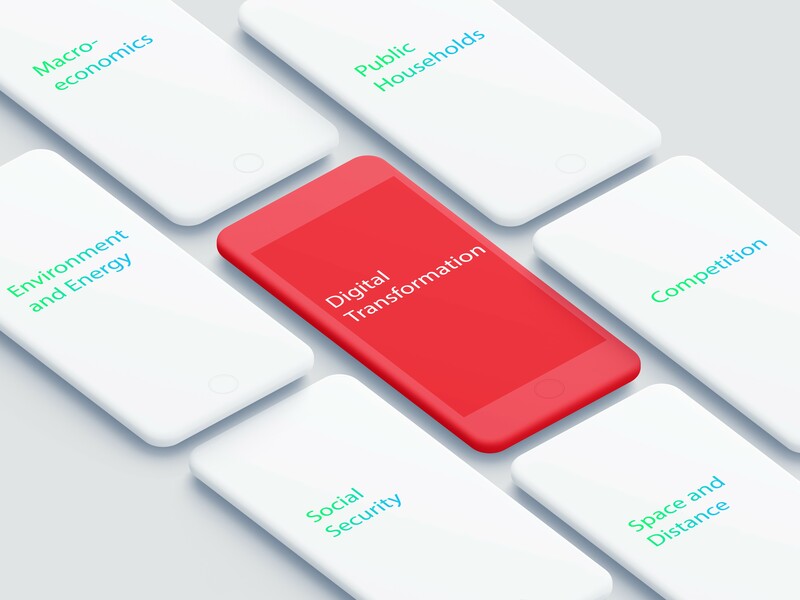 WIFO works on the topic of digital transformation from different perspectives, e.g., macroeconomic implications, changes on the labour market, company innovation, regional upheavals or environmental impacts. The Thematic Platform "Digital Transformation" bundles WIFO's current work on the topic and thus promotes the exchange of ideas both externally and within WIFO. By including the economic, spatial, competitive, social and ecological significance of digitisation in the economic analysis, the effects and interactions of digital progress in the context of market, state and society are highlighted and made comprehensible.